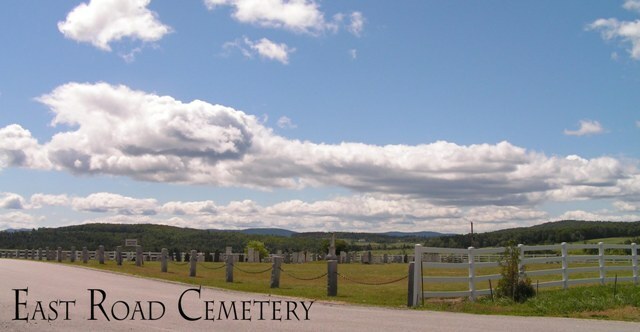 The East Road (It had been called Bible Street) Cemetery was laid out March, 1793. It was voted to give Jonathan Ayer twenty schillings per acre for land for the burying grounds and that the Selectmen apply to Mr. Jonathan Ayer in behalf of the Town and take a deed of the land purchased of him for the burying ground and that the Selectmen be a Committee to superintend the labour to be done on the several burying yards in Town. The East Road Cemetery was “leased out’ 15 rods by 16 rods at a cost of one pound, ten shillings.